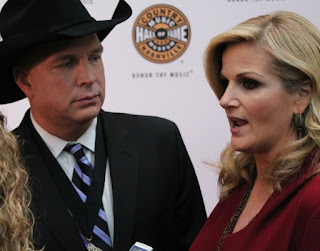 Garth Brooks walked the red carpet at the Country Music Hall of Fame inductions on Sunday (10/25) in Nashville and was asked about the recent tragedy in his home town of Stillwater, Oklahoma where a driver ran into a crowd of parade goers at the Oklahoma State University homecoming. 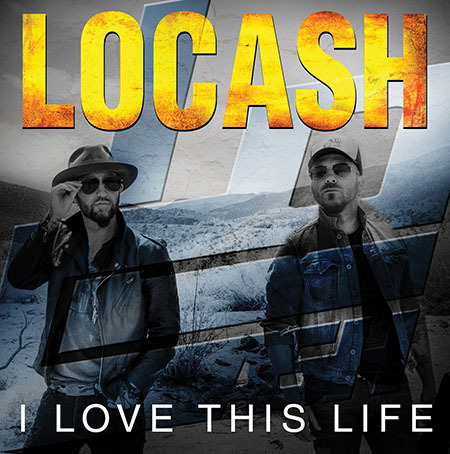 NASHVILLE, Tenn. (October 30, 2015) – On the heels of their current Top 20 and climbing Country Billboard single “I Love This Life,” rising country duo LOCASH releases their first six-track E.P., I Love This Life, with new label, Reviver Records, now available on iTunes, Amazon and other digital retailers nationwide. NASHVILLE, Tenn., October 29, 2015 – Country music superstar Keith Urban will be the subject of a career-spanning exhibition, which opens November 20, 2015, at the Country Music Hall of Fame and Museum. 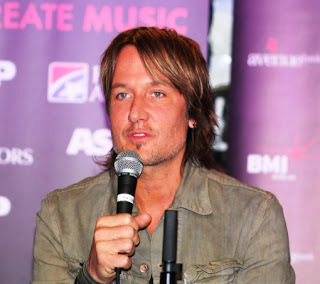 Keith Urban So Far... will run through May 2016 and will follow the multiple Grammy, CMA and ACM Award winner’s path to Nashville, where he’s become not only one of country music’s best-loved ambassadors, but one of the world’s most-respected musicians. THURSDAY, DECEMBER 31 beginning at 8 p.m. ET/PT on the ABC Television Network. NASHVILLE, TN – (Oct. 28, 2015) – A decade of tireless work and undaunted optimism pays off this Friday for new Warner Bros. Records/Warner Music Nashville recording artist Chris Janson as he releases his highly anticipated debut album Buy Me A Boat. NASHVILE, Tennessee (October 27, 2015) – Country music superstar Luke Bryan will perform LIVE at AT&T Stadium during halftime of the Dallas Cowboys game against the Carolina Panthers on Thanksgiving Day, November 26, kicking off The Salvation Army’s annual Red Kettle Campaign. The nationally televised halftime performance marks the 19th year the Dallas Cowboys have partnered with The Salvation Army to launch the iconic annual campaign, which raises millions of dollars throughout the holiday season. Donations help provide meals and shelter for families and Christmas toys for millions of children, in addition to numerous other social services programs year-round, such as substance abuse programs, shelter and counseling for victims of domestic violence, and military veteran assistance. Keith Urban announced today that his eighth studio album will be called Ripcord. Speculation surrounding the details of the release began back in June when Urban put out “John Cougar, John Deere, John 3:16,” billed as the first song from the forthcoming album – which became his 19th No. 1. It not only set an historic country radio mark for the highest one-week spin count and point total on Country Aircheck/Mediabase, it extended Urban’s lead as the artist with the most consecutive top 10 songs on Billboard’s Country Airplay Chart, a streak that started in August of 2000. Nashville, TN – (October 27, 2015) – Seven-time Grammy winner and Pollstar’s three-time top female country touring artist, Carrie Underwood, who just released her fifth studio album, Storyteller, will launch a new arena tour in 2016 to take her new music on the road. The Storyteller Tour - Stories in the Round, in association with award-winning cosmetics brand ALMAY, will kick off on January 30 in Jacksonville, Florida, playing 40 arenas across the U.S. and Canada. 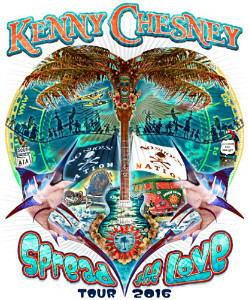 NASHVILLE, Tenn. (Oct. 27, 2015) After breaking nine attendance records – many his own – and selling in excess of 1.3 million tickets on The Big Revival Tour, Kenny Chesney wanted to harness the energy of last year’s audiences. Naming his 2016 tour Spread the Love to reflect the No Shoes Nation’s passion for living life and loving music, he’s announcing the first wave of shows for next year – starting with the already-on-sale April 23 concert at Auburn’s Jordan Hare Stadium. 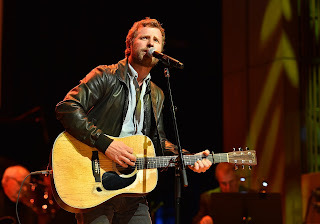 Garth Brooks, Trisha Yearwood, Dierks Bentley, Steve Wariner, and more were on hand Sunday night to pay tribute to the newest members of the Country Music Hall of Fame & Museum. 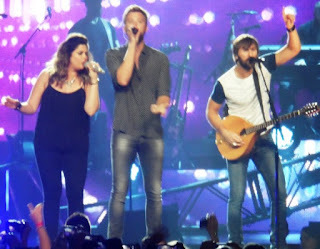 New York, NY (October 26, 2015)--Eagle Rock Entertainment is proud to announce the November 13 release of the Lady Antebellum: Wheels Up Tour on DVD, Blu-ray and digital formats [MSRP $19.98 Blu-ray, $14.98 DVD]. A DVD+CD package will also be available exclusively though Walmart. NASHVILLE, TN – Oct. 26, 2015 – After record-shattering attendance numbers, triumphant sold-out stadium runs and over two million tickets sold, CMA nominee Jason Aldean wrapped his 2015 BURN IT DOWN TOUR “in his customary fashion” (Sun-Sentinel), lighting up Coral Sky Amphitheater in West Palm Beach, FL Saturday night (10/24). The night marked his 10th Annual “Concert for the Cure,” where Aldean presented over $615,000 to Susan G. Komen South Florida, which was raised from a portion of ticket sales over the course of the tour. Pictured are (back row, l-r): 2015 inductees William Lee Golden, Joe Bonsall, Richard Sterban, and Duane Allen of the Oak Ridge Boys; Ray Walker of the Jordanaires; Country Music Hall of Fame and Museum Chairman Steve Turner; Vince Gill; E.W. “Bud” Wendell; Bobby Bare; Country Music Hall of Fame and Museum CEO Kyle Young; Garth Brooks; Randy Owen of Alabama; Kenny Rogers; Charlie McCoy; and CMA CEO Sarah Trahern; (front row, l-r): Ralph Emery; Harold Bradley; Connie Smith; Emmylou Harris; 2015 inductee Bonnie Brown; Joshua Martin, son of 2015 inductee Grady Martin; Brenda Lee; 2015 inductee Maxine Brown; Jo Walker-Meador; Roy Clark; and Country Music Hall of Fame and Museum Board Trustee Jody Williams. NASHVILLE, Tenn. – October 26, 2015 – Two groundbreaking vocal groups with drastically different styles joined a fabled studio session musician as the newest inductees into the Country Music Hall of Fame during a star-studded, emotional Medallion Ceremony on October 25, 2015. Considered country music’s most prestigious event, the ceremony is the official induction of new Hall of Fame members. Jim Ed Brown and the Browns, the Oak Ridge Boys and studio session great Grady Martin were feted with heartfelt testimonials and memorable performances of songs they made famous or, in Martin’s case, that he provided signature instrumental parts for on countless classic songs. The artists paying tribute varied widely in ages, backgrounds, and styles, which underscored the eclectic nature and crossover appeal of the musical contributions of the artists being honored. On Monday, October 19th, Toby Keith's daughter, singer-songwriter Krystal Keith and her husband Andrew Sandubrae welcomed their baby girl, Hensley Jack Sandubrae. Weighing 6 lbs., 11 oz and 18.5 inches long, Hensley is the couple's first child. 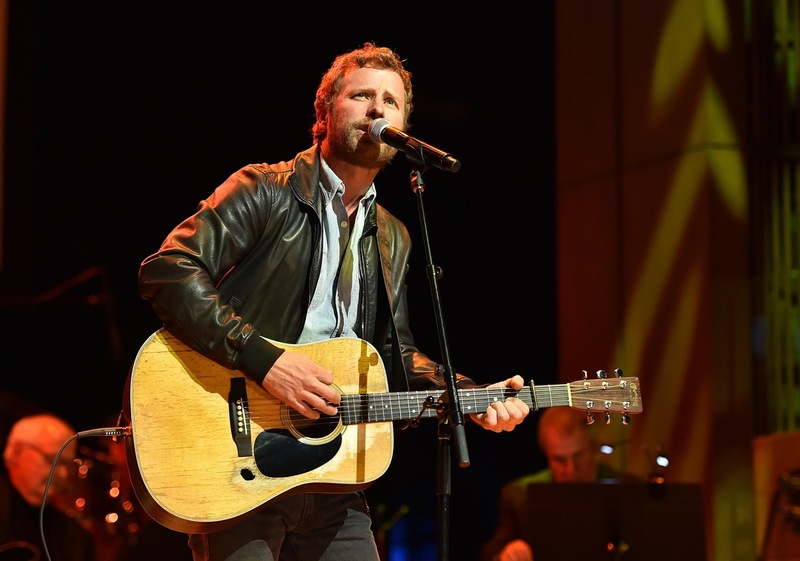 NASHVILLE, TN – Oct. 23, 2015 - As fans and critics continue to rave about one of Spotify’s all-genre Top 10 Most Viral Tracks “The Driver” from Charles Kelley, the award-winnging singer/songwriter has exclusively released the music video for the raw single that will “leave you covered in goosebumps” (CMT) through VEVO today. NASHVILLE, TN –(October 22, 20115) – It’s time to get Reloaded with Blake Shelton! 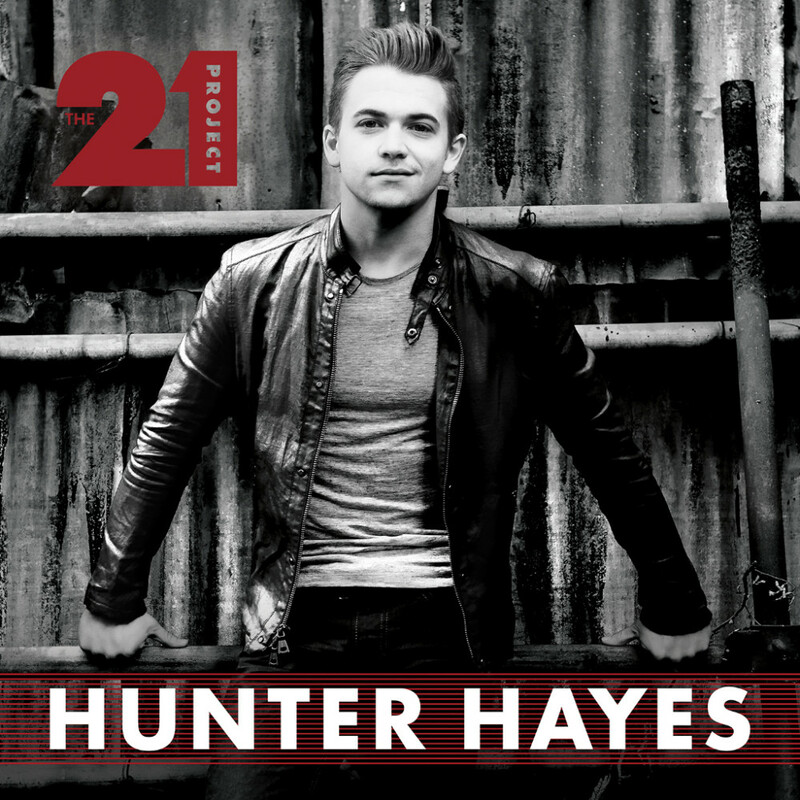 The country music superstar unleashes Reloaded: 20 #1 Hits tomorrow. 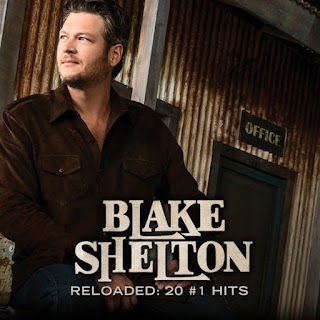 Reloaded: 20 #1 Hits chronicles the chart-topping songs of the Warner Bros. Records recording artist’s career, from early hits like “Austin” and “Some Beach,” to his continuing modern record run of 15 straight No. 1 singles. “The Voice” star’s hits package will also include his latest single, “Gonna,” as a bonus track. Nashville, TN (October 22, 2015) – Vevo exclusively premieres the brand new music video for Black River Entertainment recording artist Kelsea Ballerini’s Top 20-and-rising single “Dibs” today (10/22) across Vevo, the world’s leading all-premium music video and entertainment platform. Taking “Dibs” on the road, the high-energy video was filmed over tour stops in York, PA, Greenville, SC, and St. Leonard, MD. Directed by Black River's Robert Chavers, the video captures the vibrant feel of the song she co-wrote with Josh Kerr, Ryan Griffin and Jason Duke, and seamlessly weaves together flashes of Ballerini’s live performance with real road life moments including her 22nd birthday celebration. Watch the video here: http://vevo.ly/wzJGeJ. Nashville, TN – (October 21, 2015) - Superstar Carrie Underwood is set to release her fifth studio album, Storyteller, this Friday, October 23. Carrie will launch the new music with multiple appearances in New York and Los Angeles before heading back to Music City to co-host The 49th Annual CMA Awards on ABC with Brad Paisley on November 4 where she is a double nominee. On Friday, October 23 Carrie will headline a special outdoor performance on NBC’s Today, as part of their Citi Concert Series. On Tuesday, October 27 Carrie is set to chat and perform on The Ellen DeGeneres Show as well as make a guest chat appearance and an outdoor concert performance on ABC’s Jimmy Kimmel Live! NASHVILLE, Tenn. – The world’s best-selling, multi-artist album series NOW That’s What I Call Music! 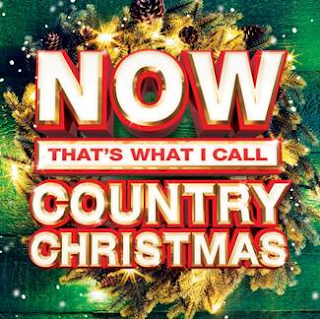 will celebrate the spirit of the season with Now That’s What I Call Country Christmas, the latest installment in the popular series. Available on October 23, country music fans can hear Christmas recordings from contemporary stars like Luke Bryan, Carrie Underwood and Hunter Hayes as well as legendary artists like Reba, George Strait, Willie Nelson and more. NASHVILLE, Tenn. (Oct. 21, 2015) – CMA Award-winning artist and five-time GRAMMY nominee Hunter Hayes is bringing his hits and new music to the streets of downtown Nashville with his second annual free concert on Monday, Nov. 2, once again kicking off an event-packed CMA Awards week that will culminate with the release of his latest collection, The 21 Project, on Friday, Nov. 6. Featuring a performance by Hayes and special guests to be announced, portions of the show will be taped to air as part of a live broadcast during the CMA Awards red carpet coverage on Wednesday, Nov. 4. Doors for the late night jam will open at 9:00 p.m. outside of Bridgestone Arena and the show is set to begin at 10:30 p.m.
Nashville – (October 20, 2015) – Luke Bryan, the reigning CMA Entertainer of the Year and two-time ACM Entertainer of the Year, will embark on a brand new tour in early 2016, “Kill The Lights Tour.” The first leg will launch on February, 16 in Evansville, Indiana with guests Little Big Town and Dustin Lynch. 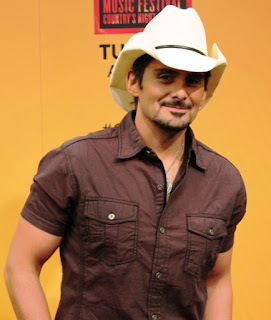 NASHVILLE, Tenn. (October 20, 2015) Country music superstar Brad Paisley has announced his 2016 winter leg of his highly successful “Crushin’ It World Tour,” which kicks off January 21 in Jonesboro, AR. The tour will continue across the United States and Canada during the winter months. 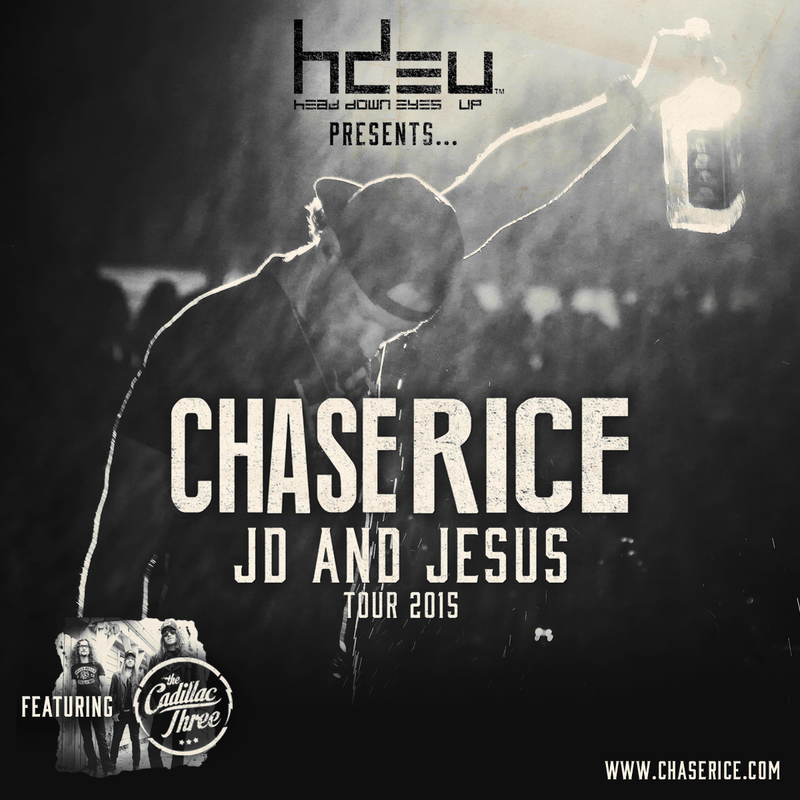 Special guests will be breakout country artist Eric Paslay and new country sensation Cam. NASHVILLE - As Country Music fans get ready to celebrate “The 49th Annual CMA Awards,” ABC News brings viewers its seventh annual pre-CMA Awards Special: “Countdown to the CMA Awards: Country’s Greatest Crossover Hits with Robin Roberts,” airing Monday, Nov. 2 (10:00–11:00 PM/ET) on the ABC Television Network. 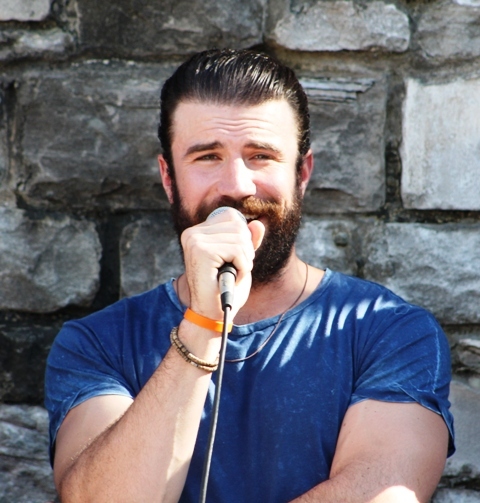 NASHVILLE, Tenn. (October 19, 2015) – MCA Nashville’s Sam Hunt released an emotional new music video today for his latest single, “Break Up In A Small Town.” Already Gold-certified and climbing country radio’s Top 25, “Break Up In A Small Town” is Hunt’s fourth single off his critically-acclaimed debut album, Montevallo. “Break Up In A Small Town” follows Hunt’s three consecutive Platinum-selling No. 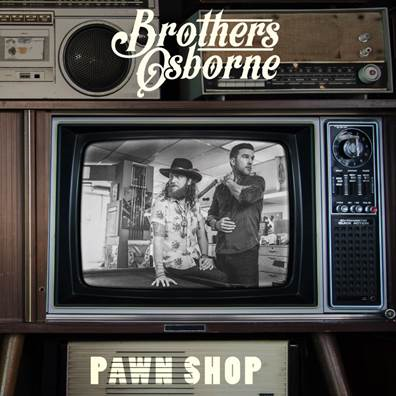 1’s, “Leave the Night On,” “Take Your Time” and “House Party” – all three of which hold positions in the Top 5 most-streamed country tracks year-to-date. NASHVILLE, TN – (October 19, 2015) – With her single “I Got The Boy” Top 20 and climbing, Elektra Records Nashville/Warner Music Nashville artist Jana Kramer debut’s Top 10 on the all genre, Billboard 200 Albums Chart, with more than 21,000 album equivalent units. With 18,000 albums sold, thirty one debuts at #3 on the Billboard Country Albums chart, making this her biggest first week sales and highest chart position ever. It’s also the third biggest debut week by a solo female country artist this year! NASHVILLE, Tenn. (Oct. 16, 2015) – Randy Houser knew he had something special when he wrote “Like A Cowboy” with Brice Long, but the traditional-leaning ballad has proven to be the touchstone of his live show and resonated with fans and critics alike. After a sensational acoustic delivery of “Like A Cowboy” during one of his performances as part of Luke Bryan’s Kick The Dust Up Tour this year, the Boston Globe praised Houser for “reminding everyone. 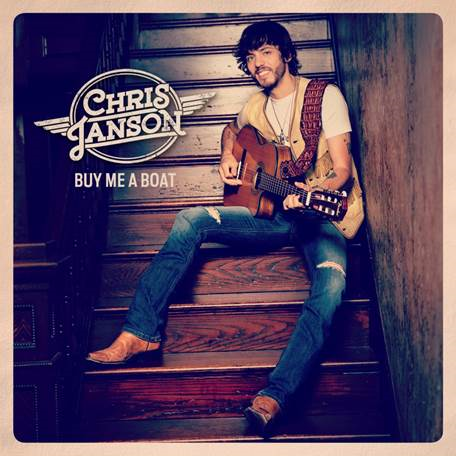 . . that all you need is a good song and a heartfelt performance to create a powerful and enduring musical moment,” and the impact of the song continues to grow as it recently landed a nomination for CMA Song of the Year and earned its RIAA Gold certification for more than 500,000 sales and on-demand stream units. Bryan surprised Houser with the news during last night’s tour stop in Sacramento, presenting him with a Gold plaque during an impromptu collaboration with Houser and fellow tour-mate Dustin Lynch midway through the show. 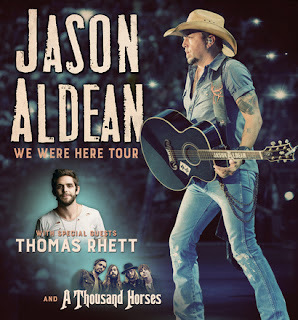 Nashville, TN – Oct. 16, 2015 – RIAA’s top digital country male artist of all time Jason Aldean will launch his WE WERE HERE 2016 TOUR on Jan. 15 following a monumental run that sold over two million tickets and hosted capacity crowds at the nation’s biggest stadiums, amphitheaters and arenas. Tickets for select shows on the 24-city run with special guests Thomas Rhett and A Thousand Horses go on-sale next Friday, Oct. 23 at JasonAldean.com and LiveNation.com. Additionally, next spring Aldean will make his first-ever trip to Australia where he’ll also play a string of headlining tour dates. 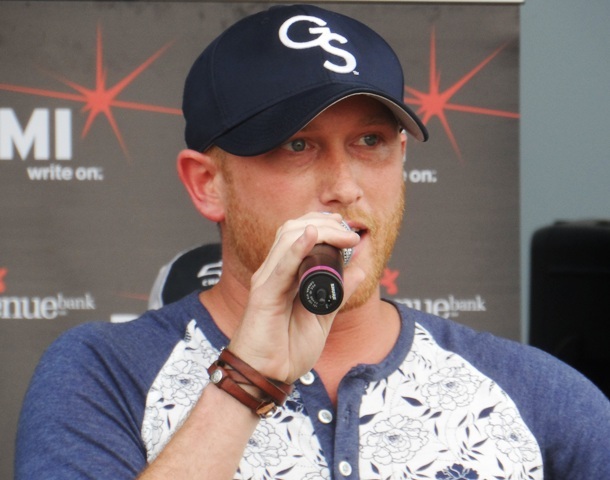 NASHVILLE, Tenn. – October 15, 2015 – Rising country star Cole Swindell is set to release his second Down Home Sessions EP on November 6th, a week before the kick off of his fall headlining tour. The five-song project will be available for pre-order exclusively at iTunes beginning October 28th. 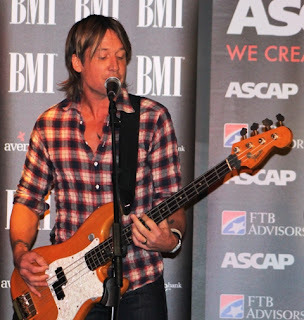 This Monday, October 19th at 2:00 pm central, four-time Grammy Award winner Keith Urban will release “Break On Me,” the second single from his forthcoming eighth studio album. 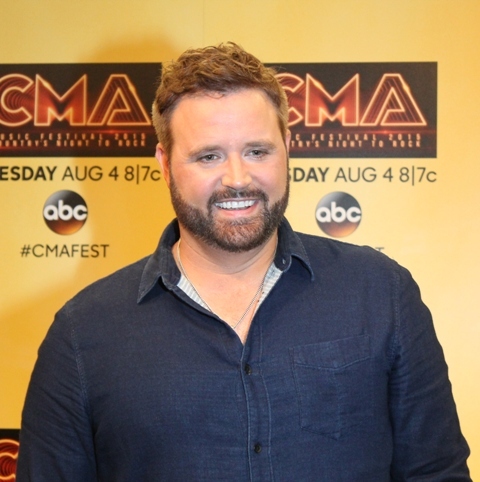 The song’s release falls in line behind an historic, record setting 34 Top 10 songs, 19 of which have hit the Top spot, including his latest “John Cougar, John Deere, John 3:16”. “Break On Me,” written by Ross Copperman and Jon Nite and co-produced by Nathan Chapman and Urban, is a melodic, mid-tempo ballad - Urban’s first ballad since FUSE’S third single, “Cop Car”. NASHVILLE, TN (October 14, 2015) – As announced yesterday (10/13), Black River Entertainment recording artist Kelsea Ballerini is aglow with her first American Music Awards (AMA) nomination for 2015 Favorite Female Artist - Country. The fan-voted awards show will air live from Los Angeles on November 22nd at 8 p.m. ET on ABC. Voting is now open via AMAvote.com. “This is my first all-genre award show nomination,” exclaims Kelsea Ballerini. “And, I'm in the category with two women [Miranda Lambert and Carrie Underwood] who have influenced me so much in Country music. I can't wait to go experience it all for the first time!" 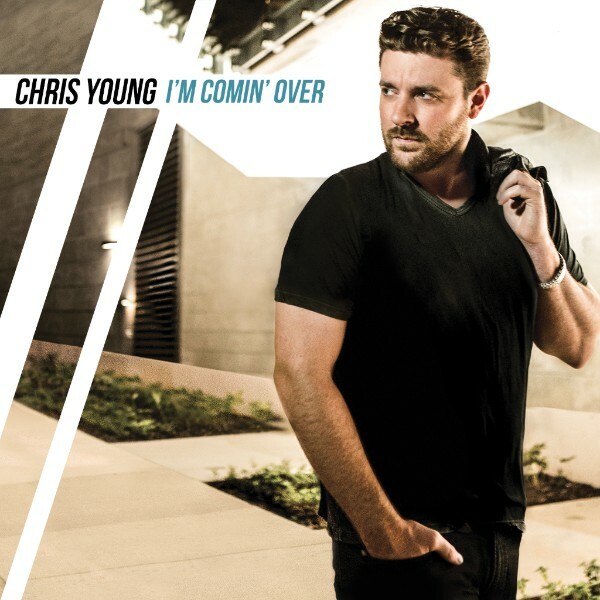 October 14, 2015…Nashville, TN…With the countdown on to the November 13 release of his highly anticipated forthcoming album, I’m Comin’ Over, Chris Young revealed the album’s track listing today, engaging eager fans with a click and share campaign HERE.